Key result: This Eastern Canada study tested canola in typical Eastern Canada crop rotation systems and found that canola performed well after soybeans and wheat produced its best yields following canola. Crop rotation is recognized as one of the best management practices in field crop production, whether canola or any other crop. The purpose of this study was to gain a better understanding of how canola can fit into existing cropping systems in Eastern Canada. Researchers wanted to calculate the economic benefit of growing canola as well as nutrient utilization efficiency and carbon footprints in different cropping systems through the collection of soil, crop growth, yield and tissue N concentration data, to investigate major diseases and insects of canola production in different cropping systems, and to identify and establish a sustainable cropping system for canola production in Eastern Canada. A four-year phase rotation (canola-wheat-corn-soybean) experiment with 13 crop sequence combinations and four replications per site was established in Ottawa, Ont., Ste. Anne de Bellevue, Que. and Canning, N. S.
In most cases, the canola following soybean rotation produced the best yields of all the canola rotations. In most cases continuous canola plots (CC) produced the worst yields of all the canola rotations. Clubroot became an issue at one site but only in the continuous canola rotation. There appears to be a slight yield advantage of planting wheat after canola. In four out of the five years, the rotational wheat after canola produced the best yields of all three rotations. 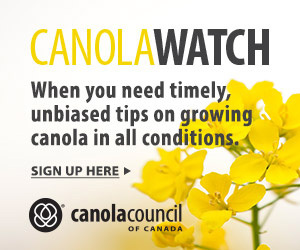 The different crop rotations had no significant effect on canola seed oil concentration. Root:shoot ratio can be a good assessment of the health of a crop. Continuous canola plots that had the poorest yields also had the lowest root:shoot ratios, compared to the other canola rotations. However, even though the canola following soybean plots had the highest yields, they did not necessarily have the highest root:shoot ratios. There does not seem to be a correlation between root:shoot ratios and the final yields of the wheat rotations. Wheat plots following canola had the highest yields, but not the highest root:shoot ratios. This rotational effect may likely be associated with the change in soil microbial communities, which indirectly affected the availability of soil nutrient supply, and thereby the uptake of plant nutrients and nutrient balance. This requires further investigation. More research is also required to understand soil and root dynamics. Further analysis of the multi-year data is ongoing, and the large dataset generated will provide additional insights into the rotation effect. Most of my canola is in a three-year rotation of wheat-soybeans-canola. Sometimes I’ll under-seed wheat with perennial ryegrass and harvest it for seed the following year, which extends the rotation to four crops on those fields. This is a dependable rotation for me, economically, and I think it’s also acceptable from an overall sustainability perspective. There are certainly lots of farmers growing five crops in my area, with quite a few corn and oats acres, but we’re in an area of the Prairies where farmers have quite a few profitable rotation options. When it comes to sustainability decisions and rotations, it can depend on where you are in the economic lifecycle of the farm. I’m in the early half of my farming career and my focus is on economic sustainability, but I do want to make sure the land is taken care of for later. One benefit of soybeans in the rotation is that I can leave the stubble standing and direct seed canola into it. This is one way we can reduce tillage in the eastern part of Manitoba. While soybeans, like canola, are also susceptible to sclerotinia (white mould), I’ve been following this rotation for eight years and the disease has never been that serious in soybeans. I will spray canola to prevent sclerotinia, but I think I’d be doing that anyway.